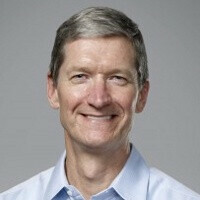 Apple’s chief executive, Tim Cook, will kickstart the 10th edition of the D: AllThingsDigital conference that will take place from May 29th to the 31st. The conference will bring some of the most influential people in technology and for Cook it will be his first onstage appearance on an event not hosted by Apple. Previously, Steve Jobs has attended the conference. His most memorable appearance was one where he sat next to rival Microsoft head Bill Gates and the two spoke about the state of the industry and the history of Apple and Microsoft. Tim Cook’s appearance might give an interesting perspective on where the industry is going and help us better understand what kind of a person Apple’s new CEO is. Under Cook’s rule, Apple has surged in value, surpassing Exxon Mobil as the world’s most valuable company, with market cap of the mind-boggling over $600 billion. Prior to becoming a CEO, Cook ran Apple distribution and we’ve looked in detail how nearly perfect inventory management and distribution makes the Cupertino selling machine so incredibly efficient. Cook started his career at Apple at the time when Steve Jobs returned from NeXT. Before Apple, his list of employers include Compaq, Intelligent Electronics, and IBM.